As I’ve said before, my friends often share articles and news they think I’d appreciate because of my work on WJSS. They send me cool links to music, too. I decided to start giving shout outs to those friends, when I feature the tune they’ve shared with me. My friend, Andy Cutler, pointed me to this gem, After Laughter, by Wendy Rene. Andy is quite the man about town here in Providence–runs his own strategic communications/public relations firm, Cutler & Company, and aside from all the community boards he serves on, Andy also started the initiative called Smaller Cities Unite!, a new model platform that uses citizen diplomacy to connect cool, smaller cities with one another to explore collaborative opportunities in the areas of arts and culture, economic development, entrepreneurship, policy, and student engagement. Andy also is one of the people who started the Twitter handle @ourpvd, which shares all that’s going on in our fair lil’ city of Providence, a place small in size, but large on creatives, entrepreneurs, and tech start-ups. Click here to see a cool video put together by #ourpvd and Smaller Cities Unite! that shows just that. Wendy Rene, born Mary Frierson, in Memphis Tennessee, was signed to Stax Records in 1963 as a teenager, and sang professionally for about only four years, saying that she wanted to have more time at home with her children. 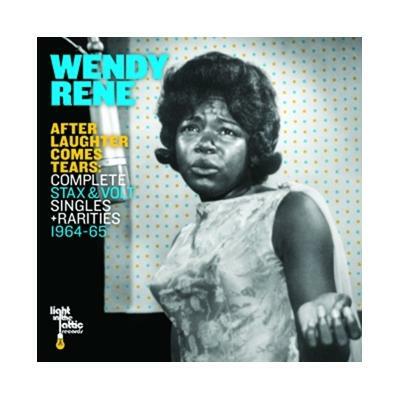 Her stage name, Wendy Rene, was chosen by contemporary, Otis Redding. Ominously, Wendy was to perform with Redding and the Bar-Kays, but changed her mind at the last minute to stay home. Redding and several members of the Bar-Kays lost their lives in a plane crash in Wisconsin that Wendy would have been on had she decided to perform. I love her voice and the song, and look forward to checking out more of her work. Enjoy! Thanks for the intro. I am sorry to say, that I have never heard of this Wendy. Yikes!! I hadn’t either. Seems she is lesser known–perhaps because she only recorded for a very short time. There’s so much I don’t know about music- I’m always glad when friends share music with me.